This subseries contains records maintained by Dr. Brown throughout his career at NIMH on selected special topics. The bulk of the records date from 1959 through 1974. The records include correspondence, internal memoranda, reports, congressional testimony, legislative materials, meeting minutes and notes, press releases, published articles, and clippings. Folders are arranged alphabetically by topic. Topics in this series often relate to Dr. Brown's special assignments or federal commission appointments made either by the Secretary of DHEW or the President of the United States. Dr. Brown was appointed Special Assistant for Drug Abuse Prevention to the Secretary of DHEW, beginning soon after his appointment as Director of NIMH in 1970. Consequently, a significant portion of records in this series falls under the topic of drug abuse prevention and documents Dr. Brown's efforts to combat drug abuse at the federal level. As drug abuse became a major national issue in the early 1970s, DHEW became the lead agency in 1971 with Dr. Brown as chairman of a White House Inter-Agency Task Force established to coordinate federal drug abuse prevention programs. Documents regarding federal efforts to combat drug abuse include a group of Decisions Papers on drug abuse prevention from the President's Domestic Council; White House Inter-Agency Task Force reports on drug abuse prevention and narcotic addiction; Food and Drug Administration's methadone regulations; and a report to Congress prepared by DHEW titled "Marihuana and Health" in 1971.
Notable among the records regarding drug abuse prevention are statements of, and briefing materials for, DHEW and Department of Justice officials who testified at a series of congressional hearings on the topic from 1969 through 1971. A sample of the legislation covered in these records includes the Drug Abuse Education Act of 1969, the Drug Abuse and Narcotics Crime Control Act of 1969, and the Narcotic Rehabilitation Act of 1970. In addition, records in the series from NIMH's Narcotic Addiction and Drug Abuse Division, Anti-Drug Abuse Media Project, Clinical Research Center in Kentucky, and the Center for Studies of Narcotic and Drug Abuse document the agency's efforts at instituting drug abuse prevention programs. 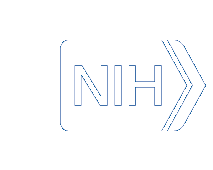 Although NIMH's efforts to fight alcohol abuse and alcoholism were closely aligned with drug abuse prevention programs, the series contains fewer records on the topic of alcoholism. Records regarding alcoholism cover DHEW's strategy for implementing the Comprehensive Alcoholism and Alcohol Abuse Act of 1970, the National Advisory Committee on Alcoholism, and an alcoholism treatment program for federal employees. Dr. Brown became Chief of the Community Mental Health Facilities Branch of NIMH in March 1964 soon after the passage of the Community Mental Health Center's (CMHC) Act of 1963. Records on the topic of Community Mental Health Centers include mostly background materials on the CMHC's Act, including congressional testimony, legislative history, regulations, a section-by-section analysis, drafts, criticisms, cost projections, and a general history. Also of interest are reports and background material on NIMH's Mental Health Study Center (MHSC), a community mental health center established in Prince George's County, Maryland, in 1948. In 1965, the MHSC became a model study program for a comprehensive CMHC after passage of the CMHC's Act. Other notable records on CMHCs, include a "Workbook for Developing CMHCs," CMHC grant program guidelines, background material on the Hill-Burton Construction Program, and a 1966 DHEW report titled "Current Status of CMHC Program." Other significant records cover violence, children, St. Elizabeth's Hospital, criminal justice, poverty, and the USSR. Records on the topic of violence cover Dr. Brown's membership on the President's Commission on the Causes and Prevention of Violence (Eisenhower Commission) after urban riots and the assassinations of Martin Luther King and Robert Kennedy occurred in 1968; and an NIMH study commissioned by the National Advisory Mental Health Council to study mass violence. Regarding the topic of children and mental health is a 1969 report titled "A Summary of Recommendations" by the Joint Commission on the Mental Health of Children. Records on the topic of "St. Elizabeth's Hospital" (SEH), which concern the transfer of SEH from NIMH control to the District of Columbia, contain historical documentation on facilities which housed the criminally insane at SEH. Materials from meetings of the Advisory Committee to the National Institute of Law Enforcement and Criminal Justice address the topic "criminal justice." The demands of the "Poor People's Campaign" in 1968 to DHEW and DHEW's responses are found under the topic "poverty." Reports of the Alcohol, Drug Abuse, and Mental Health Administration's Women's Council, DHEW are listed under the topic "alcoholism." Transcriptions of Dr. Brown's interviews with participants in the U.S.-USSR Joint Committee for Health Cooperation may be found under the topic "USSR."